← Mr. Wrong or Mr. Abuser? This is desperately needed. A shift. A truer picture. Thank you for this post. Terrific job addressing an important issue we all face as trainers and abolitionists. It takes a lot of thought and effort to design and create effective and accurate images to convey the reality of issues like HT and DV. How can we expect people to help eradicate domestic violence and human trafficking if we paint the wrong picture? Images can be so powerful when words are simply skimmed through. This is a great article that portrays all too real examples of how these issues are being viewed by the public. Thank you for bringing this issue to life through your article! Wonderfully written. I’m going to be referring so many people to this. While money maybe generated by this kind of imagry, the damage it does to our mission by continuing to disempower real victims and minimise their real experiences is massive. Communities of compassion and charity need a BIG call to integrity when it comes to this. This is wonderful— don’t stop calling communicators to account for their overall impact. Another great post Becky. 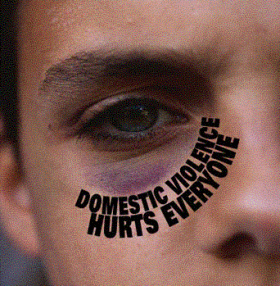 Personally i try to avoid the use of images in any piece I do on domestic abuse. The tendency is always that the group focuses on whatever image is used as the face of the violence. Any area of work where this is particularly troubling is female genital mutilation. We wouldn’t dream of showing a picture of someone being raped as a training tool. However in FGM training, pictures of the mutilation are frequently used. Well done for raising the issue. This is beyond amazing article. I’m currently doing a documentary on trafficking in Greece and have found that these images actually do a lot of harm. People expect so much to see physical chains that they end up discrediting victims of such horrid crimes.we should be helping those womenby giving them a voice when they are ready to speak and celebrate their courage, rather that portray them as jailed,chained and weak.thank you so much for this article, best of luck with your work..